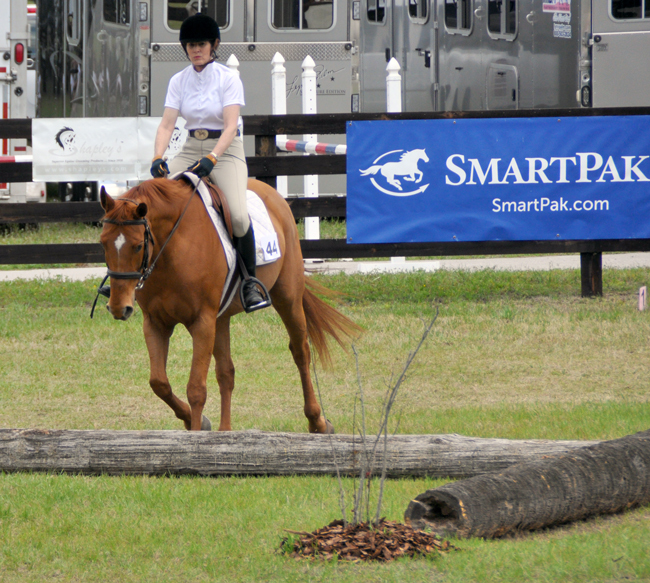 Team SmartPak rider Lynn Palm give us a behind-the-scenes look! 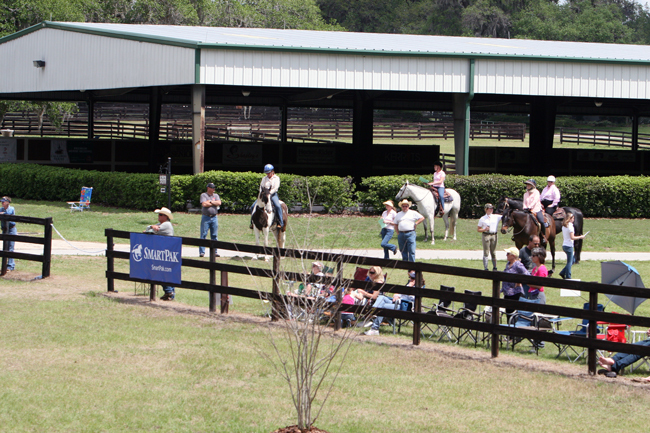 It was a beautiful spring day in April at Fox Grove Farm in Ocala, FL, that marked the season opener for the first ever AQHA Trail Challenge Series. Hosted by me and my husband, Cyril Pittion-Rossillon and managed by Palm Partnership Training’s own, Marie-Frances Davis, we could not have asked for a better day! The first challenge in the series was a great success! 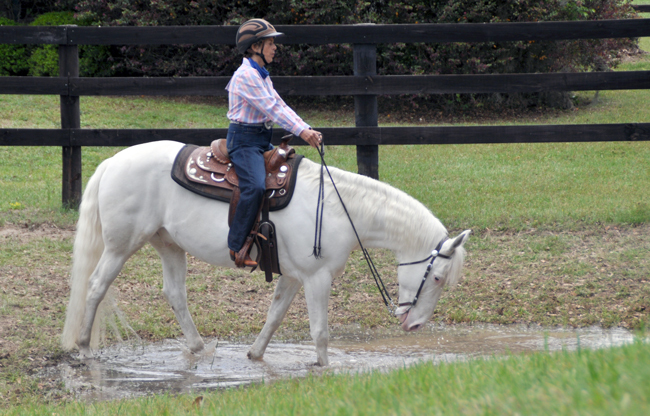 We had more than 50 riders from 5 states showing more than 10 different breeds, including TBs, Fox Trotters and Saddlebreds, riding both English and Western. I have to say that I did not envy the judges at all as they had some tough decisions to make with such great competition! Class winners earned ribbons supplied by AQHA and Grand and Reserve Champion of each level won a ribbon donated by Ribbon Recycling of Richmond, TX. Complete results are online at www.lynnpalm.com but some highlights are: Training Level Champion Ivy Loftice from Verona, KY, Intermediate Level Champion and High Score winner Shawn Charles of Orlando, FL, Masters Level Champion Celine Reilly from Port Orange, FL. 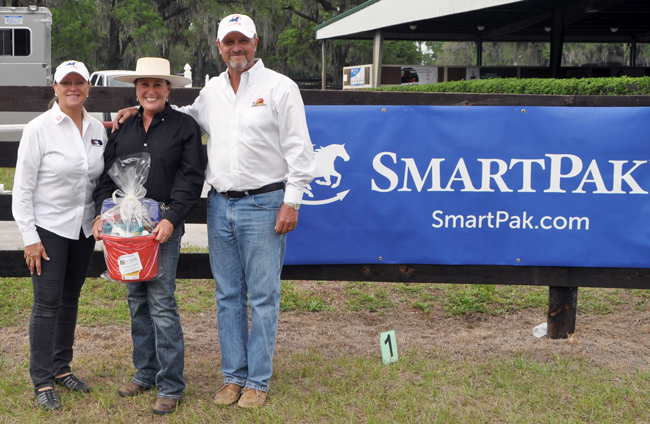 Nancy Poucher of Gainesville, FL took home the Sportsmanship Award while Holly Maro of Ocala, FL was named Best Turned Out Pair with her quarter horse CoCo Peponita. Cyril and I will travel to teach and compete this summer so we will return with the fall series of trail challenges October 6, November 3 and December 8. 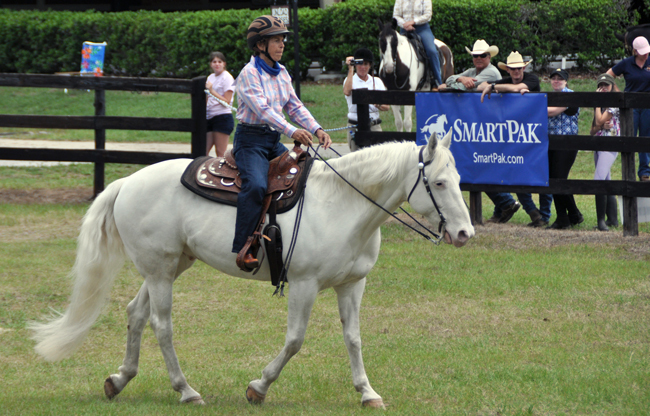 We hear that SmartPak is working on a special contest for the fall and one lucky winner could come visit us in Florida! But I can’t give too much away so you’ll have to keep following us on Facebook at www.facebook.com/SmartPakEquine and www.facebook.com/palmpartnershiptraining. Maybe we’ll see you soon!